If we were to buy into the media’s breathless commentary, we would be led to believe the sky is falling on U.S. Steel after an unexpected first quarter earnings report for 2017. Bucking the trend of fear-stoking headlines, I am inclined to look at U.S. Steel’s positive long-term economic outlook and rebuff many of the speculative charges against the company’s financial performance. U.S. Steel and the steel industry as a whole have always been inextricably linked to the political environment. In the early to mid-20th century, U.S. Steel fed a nearly inexhaustible demand for steel from the military equipment needed to fight two world wars to the rapid development of infrastructure and industry in the post-war boom. In the 1980s, the government introduced import duties on Japanese and European producers to protect the entire steel industry from illegally subsidized competitors. Now, President Donald Trump has signed executive orders that will support both the domestic steel and aluminum manufacturing sectors in an effort to strengthen national security. Steel is not merely a commodity, like lumber, cement, copper or sugar, where lower prices help the national economy. Steel is of particular strategic value. Steel and the industry of steelmaking are critical to our national security. We cannot afford to be reliant on other nations for our ships, for example. I come from Chester County, Pennsylvania, an area that has been involved in high-end steelmaking since the 18th century, including steel for ships and submarines, so caring about the economic health of the industry and its leaders like U.S. Steel is second nature to us. One of Trump’s highest priorities thus far in his presidency has been building American prosperity by taking action on trade and making a commitment to using American products and American labor. Repairing failing infrastructure is a bipartisan issue with broad support from both Republicans and Democrats. It will happen. All signs point towards improved market conditions within the next year. Hedging on the expectation that they won’t is ill-advised. The asset revitalization program is largely responsible for the negative market reaction to the first quarter report. Businesses are always looking for ways to achieve reliable, cost-effective, and high quality results. In line with its “Carnegie Way,” U.S. Steel is committed to increasing operational effectiveness by updating production processes and investing capital at facilities that will provide strong output. The asset revitalization program will cost more than $300 million dollars in 2017, a heavy lift, but Morgan Stanley analyst Evan Kurtz notes that the first few years of a revitalization program will almost always show financial strain. Once new assets are in place, U.S. Steel can expect lower expenses and greater yields. U.S. Steel is modernizing its facilities, a welcome sight for all investors. Maintenance during a boom period for steel production is a good thing. Steel consumption is cyclical – it will help maintain healthy and stable margins during all stages. Last month, it was announced that David Burritt would take over as U.S. Steel’s new CEO, replacing Mario Longhi who had been with the company for five years. Burritt has previously served as CFO and COO of U.S. Steel for four years and before that, spent more than thirty years at Caterpillar. Burritt has experience in the manufacturing industry, is a proven financial executive, and can be the change agent that U.S. Steel needs. In his previous roles, Burritt oversaw day-to-day operations. Longhi set the stage in driving the adoption of the new “Carnegie Way” ethic. Burritt will now lead a leaner, efficient, and modernized steel company. 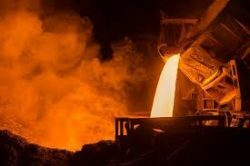 U.S. Steel’s first quarter report caught many analysts by surprise and consequently much of the news has ignored the positive aspects of the company’s financial performance. For instance, segment results improved overall by $200 million compared with the first quarter of 2016 and, although flat-rolled steel may have suffered, European segments have exceeded 2016 numbers. U.S. Steel predicted that if market conditions (pot prices, raw material costs, etc.) hold at their current levels, the company could expect 2017 net earnings of $250 million and further improvements across all segment production lines. The earnings potential for U.S. Steel is tremendous. Market conditions will improve, the revitalization plan will modernize integrated mill production, and a new CEO will lead the company in a new direction. Contrary to the media’s doom and gloom, the company is in a good position to be the leader in U.S. Steel production.